All Paul Gauguin Cruises tours, river cruises, expedition cruises, and adventure trips. Find the best guided trips and expert planned vacation and holiday packages. 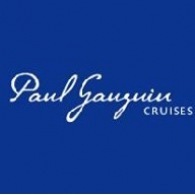 Average rating of 0.0 for all Paul Gauguin Cruises trips. View manta rays gliding effortlessly through the underwater world when you take a diving excursion during your cruise—it’s the best time of year to see them. Explore Tonga, the last remaining Polynesian monarchy and only South Pacific nation never colonized by Europeans. Enjoy nine relaxing days at sea, giving you plenty of time to get lost in a new book on the deck, make new friends over a gourmet dinner, and explore all the fantastic amenities The Moana offers on your all-inclusive transatlantic cruise. Spend a day under the sun on Isla de La Palma, one of the Canary Islands. Thanks to its location off the northwest coast of Africa, it boasts a unique blend of cultures. Get your camera ready for your arrival at Funchal, Madeira, a lush, crescent-shaped city that’s considered to be one of the world’s most beautiful places to arrive by sea.